* The following prices apply to a minimum of 0.1 g. When the total weight of each purity grade is 30 g or more, the prices on the right apply. (The digits of ten yen and lower are round down.) Charges for the service and appraisal are free! * The buying prices change every day. The prices shown above are only valid today. The buying prices of the day are updated at around 10:00 AM. Please note if the market prices change within a day, the buying prices shown above may also change during business hours. Ever since the establishment of our pawnshop, we have been always thinking about each customer’s interest and valuing their perspectives, and trying to win trust as a reliable community-based pawnshop. And today, we have earned trust from many of our customers. 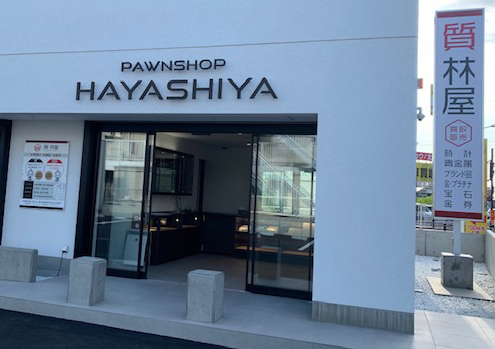 Pawnshop Hayashiya has served many customers from Ota City and Gunma area, as well as the neighboring areas in Tochigi and Saitama Prefectures. Our appraisal prices of gold and platinum are at the top level in the North Kanto Area, and appraisal prices of brand-name products and other items are also at the top level in Gunma area. Because of this, many customers have used our pawn loan service and sold their items to our shop. 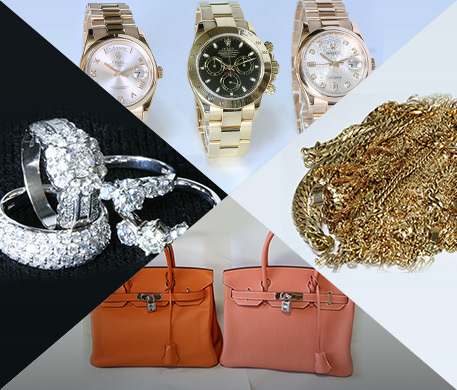 We are particularly confident about our appraisal prices of brand-name watches, bags, jewelries, precious metals (gold, platinum) and diamonds, and focusing on buying these items. Some of our customers have visited us all the way from distant areas, and many customers have visited us by word of mouth and used our services repeatedly. We also offer high appraisal prices for various other items, such as electronics, cameras, gift certificates, etc. And since it is the main function of pawnshops, Hayashiya offers pawn loan services, and we also sell high-quality used items, such as brand-name watches, bags, precious metals (gold, platinum), etc. at our shop. These items are selected with the trained eyes of professional pawnbrokers. You might feel hesitant to visit a luxury-looking boutique-style pawnshop or feel reluctant to visit a pawnshop with a dark atmosphere. At Pawnshop Hayashiya, we create a friendly atmosphere for our customers to feel at ease in our pawnshop. 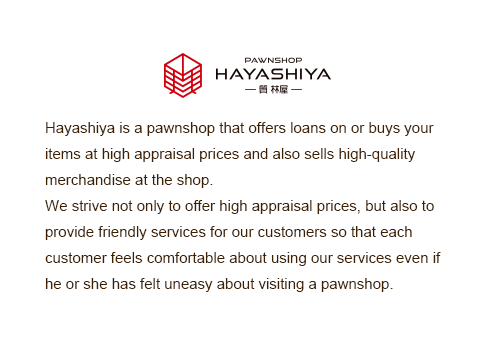 For people who have never visit a pawnshop, especially women, you are always welcome at Pawnshop Hayashiya. We are looking forward to serving you. Pawnshop Hayashiya is licensed by the Public Safety Commission under the Pawnbroker Business Act and Secondhand Articles Dealer Act, and complies with the applicable laws and regulations to conduct our business. We do not visit or call individual houses to sell or buy items. And we are not related to any businesses that falsely use the name of our shop. * The areas shown below are not the locations of our shop. Please note that we have only one shop in Ota City, Gunma. * We have served customers from the areas shown below. Copyright © SHICHI HAYASHIYA. All Rights Reserved.